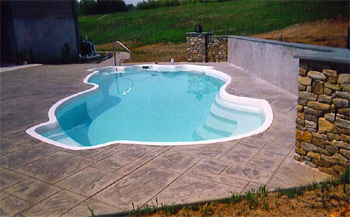 Fiberglass Pools, Pool Construction, Leak Detection, and Pool Repair services. Serving Trenton, Lansdale, Doylestown, and Bryn Mawr tri-state areas. 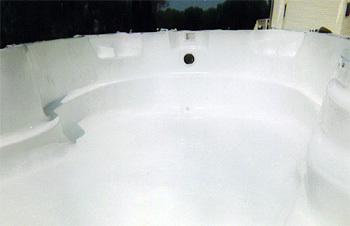 Many fiberglass Pools are subject to Hydrostatic (high water table) damages. This usually occurs if the water table is high and the pool water level is lowered or emptied all together. 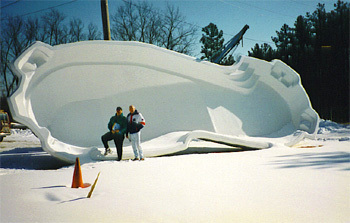 The absence of the weight of the water inside the pool allows the pool structure to be vulnerable to cracks in the fiberglass or pool shifting off level. 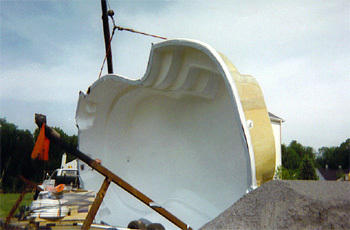 A1 Pools Specializes in Fiberglass Repairs of all types. 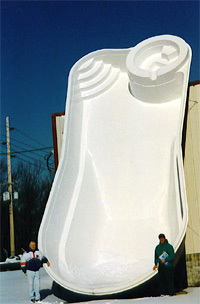 All Fiberglass Pools are Gel Coated at the factory because it is much quicker for production. 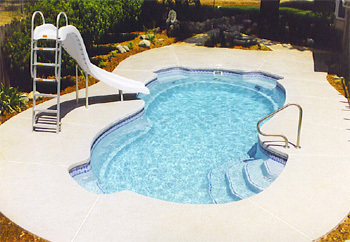 After years of Pool use the Gel Coat finish will break down and "Chalk" . 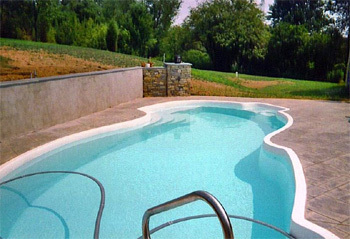 We recommend and use an industrial Extra High Build EHB 2 part Epoxy system to resurface over chalked gel-coated Fiberglass Pool finishes. This Solvent based two part Epoxy is formulated to provide maximum protection from fading and Ultra Violet Rays and works well to give the Pool a porcelain like finish. 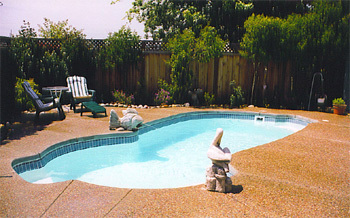 It comes in many colors that can be seen in our pool coating section. 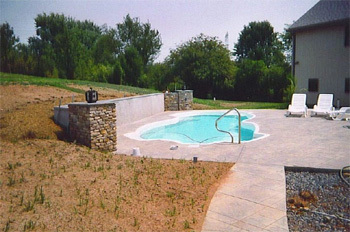 Enhance your homes style for years to come with an in ground swimming pool. 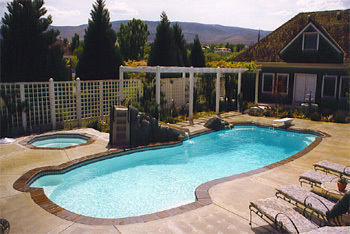 Our inground pools, with their timeless designs, transform your backyard into a sophisticated poolscape. Life is good. 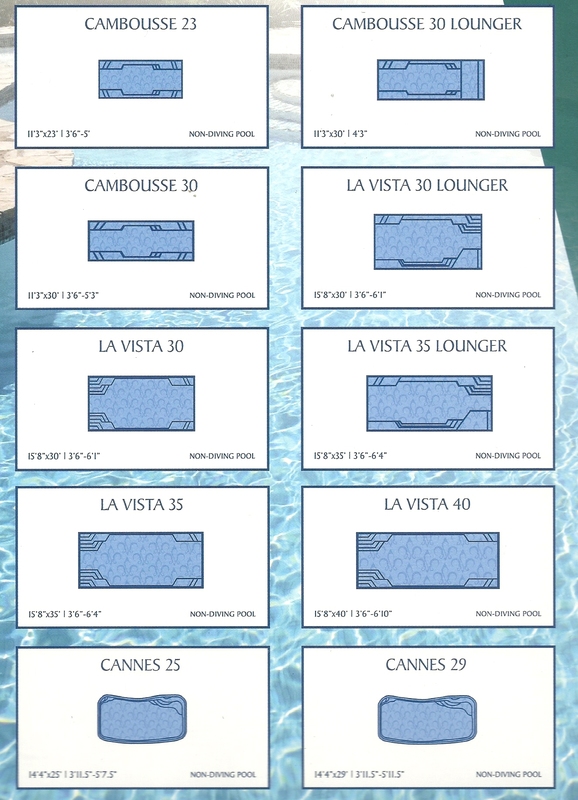 Reward yourself with the best inground pool packages on the market. 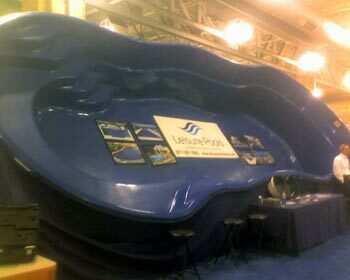 Our inground swimming pools reflect over a quarter of a century tradition in pool manufacturing. Our inground swimming pools are on the leading edge of technology and innovation for swimming pool design and construction. 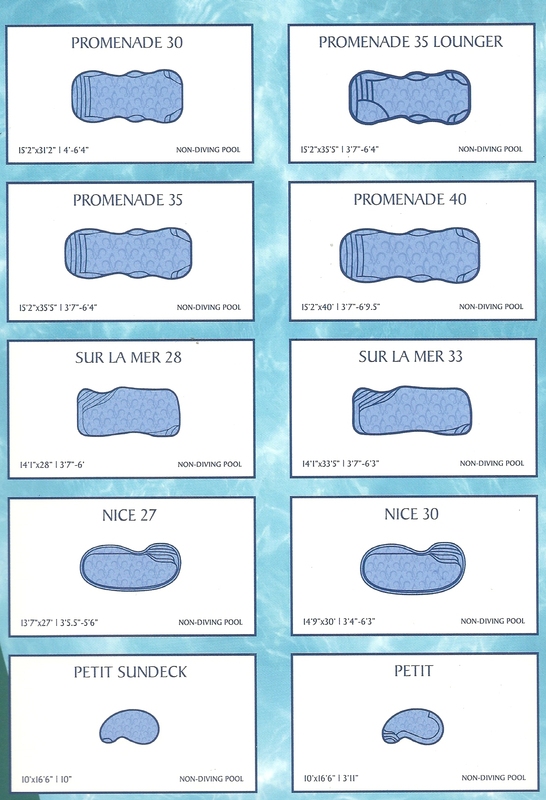 Chose from a variety of shapes and styles that will keep your family splashing for many years. 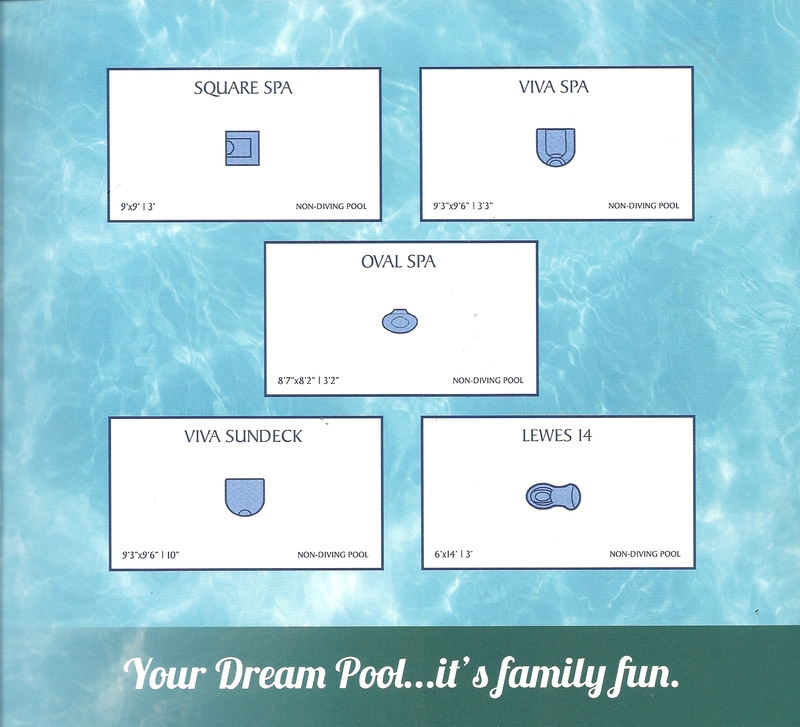 Built by one of the world's leading inground pool manufacturers, these inground pool packages style and beauty are unsurpassed. 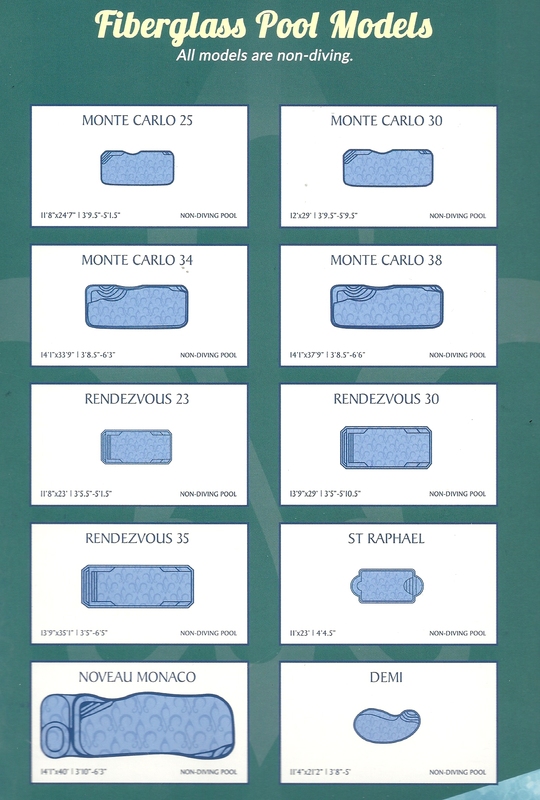 We deliver superior quality and craftsmanship. Expert Advice. Call us toll free at 800-677-2366 (Toll Free).